Often, when a classical music hall is described as a museum, it’s meant pejoratively. 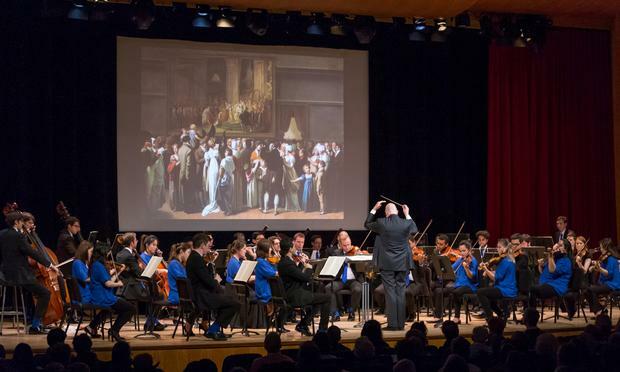 But for Leon Botstein, president of Bard College, director of the American Symphony Orchestra and the force behind a new program training future musicians, The Orchestra Now, the classical world could take notes from its counterparts in the visual arts. “The museum has been reinvented so I’m using the term ‘museum’ in the more modern use of the word, as a lively place in which the new and the old meet, where there is a kind of curating,” he explained. “In art, the picture of a painting or sculpture in your art history book or on your computer is clearly not a work of art, however, recording, after the Second World War, particularly, developed an aura of importance. Why go hear TON play the Goldberg Variations when you could listen to Glenn Gould on your HiFi, right? We’re coming slowly out of that. It’s quite clear that the HD opera is not opera and that the recording of a Mahler symphony you have on your iPhone is not a symphony. It’s like a snapshot in an art history book. We’re in the business of reviving the idea that the experience of music has to be in real time with acoustic sound." “There has always been a struggle of how do we make the connection between music and everything else we do. It’s a lot of easier when there’s a text. If you’re talking about instrumental music one of the things we have to do is find a way to connect the public to the function of music and what you can learn from music about the world you live in. Concertgoers are interested in politics and religion and they're interested in painting or sculpture or films. They’re curious people that are participating in the cultural life, and you have to relate to their interests. We’re doing programs that try to respond to their genuine thirst for information and for insight." "Everybody says, 'Oh I don’t go to concerts, I don’t know anything about classical music,' but I keep saying you don’t need to know anything. I don’t know anything about art; I don’t know anything about movies, and I go to museums and movies all the time. I’m persuaded that there’s something to know. They don’t need to give you an analysis of the work they heard, but they can express if they’ve had a good time and were moved or not moved by it. And these orchestra members in TON are learning how to use of language to talk about music. That’s why at concerts we have a question and answer period after a concert, and that’s why we encourage the musicians to talk with the audience."